we are at the end of a very overcast and drizzly week here—not cold, but a dreary harbinger that the gray season is fast approaching. suddenly, it’s fall and i’m looking at the back side of september. the weather today is a little brighter (but also colder); the sky was actually blue for a while and the september light set everything aglow during the morning. 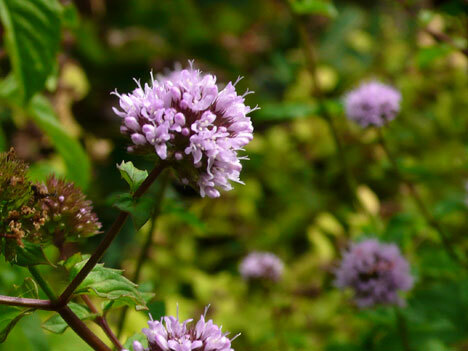 i took the opportunity to go exploring in the garden and actually found plenty of pretty things to share, which i’ll put together for tomorrow’s post (it’s supposed to rain, so that might brighten up my day). 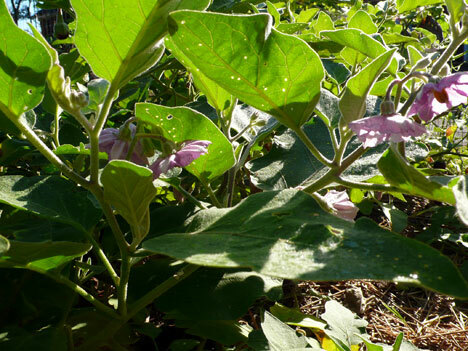 now it’s clouding over again; i was hoping it would stay nice into the afternoon because we need to get a photo shoot in—i’ve got several patterns waiting for cover photos. i guess we could do it indoors . 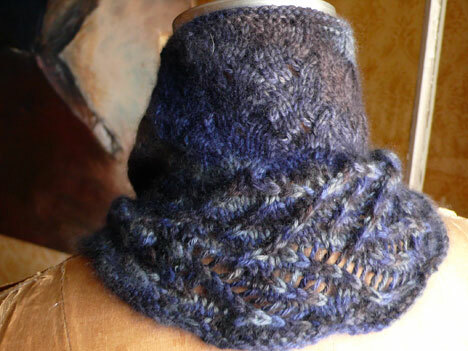 . .
i might even knit one in a solid color as well, just to see how it looks—maybe in the mink yarn . . . or maybe that yarn deserves it’s own pattern. i’ve been doing a TON of swatching over the last few days for another project that i can’t talk about (you’re gonna get tired of me and my secretive ways!). so in a way, i’ve been extremely productive, but on the other hand, i’ve got nothing to show for it. last night i rode my bike over to beckie’s house (jeez, that makes us sound like we’re 8 years old) to knit—we’re sort-of doing a weekly thursday night knitting/coffee thing and it’s working out great. she’s making a top-down raglan cardigan from the same briar rose yarn i showed you the other day (same colorway, even; i copied her). i totally meant to take a picture of it and then i forgot, ack. 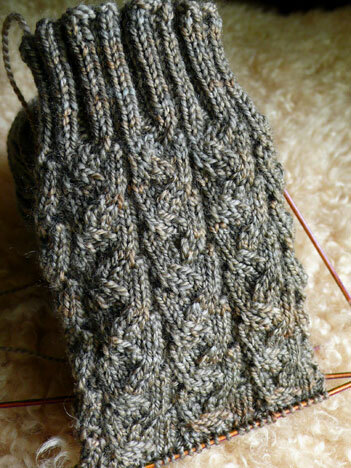 i worked on these socks in another new favorite—skye sock from mackintosh yarns, colorway safari. i just love how this fabric feels—different than the pair i’m knitting in ZYG squooshy; this one is sleeker, but still has really yummy depth. 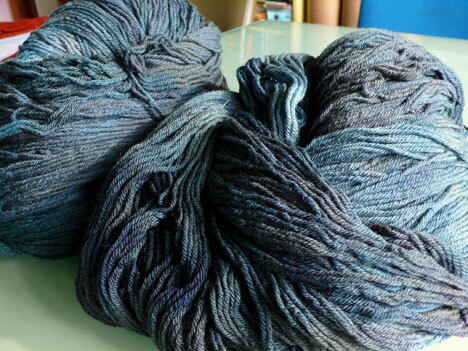 and the color is knitting up so beautifully—just the kind of thing i love, but can’t wear myself. 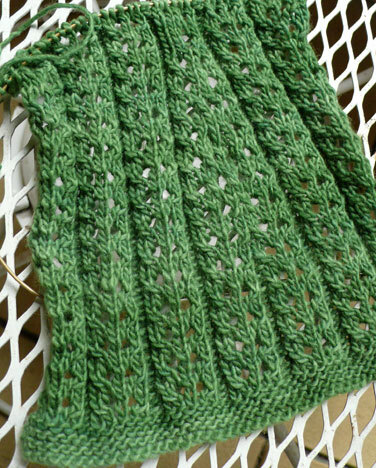 i did a few rows on the green cardi, but truthfully, not as much as i would have liked—we have a date to meet later this afternoon or evening for a little together time. mean while, back at the ranch, david is closing in on finishing the back workroom upstairs—the cabinets are nearly done and i think that’s almost the last item on the list (besides cleaning up and getting all those tools outta there). i love the way the light wood looks with the white plaster—the low-contrast combination just makes the room glow. we’re using a light coat of lime wax on the cabinetry and trim to keep it a soft color. it’s an old scandinavian trick for maximizing light—painted, whitewashed or pickled wood combined with white walls to make the most of watery, gray winter light. the cabinet has trim now, and sliding doors—it just needs a coat of wax. 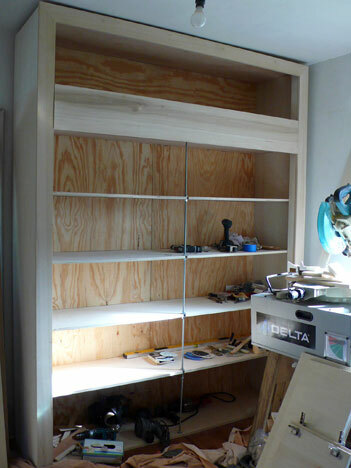 and the cedar closet needs shelves. 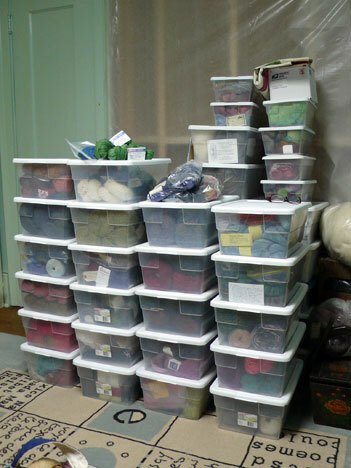 i have a whole arsenal of work-related yarns lined up to be organized in there. i can’t wait to get it off the floor and into the cabinets. while i’m thrilled to move in to all the extra storage, i know that this does not mean i get my workspace back for working yet—once this room is done, we have to move everything from the front room in here to store, while david tears my original workroom apart and fix the horrors that lie beneath. so maybe in another six or nine months i’ll have a finished workspace that i can actually use to knit, spin, and write in again. 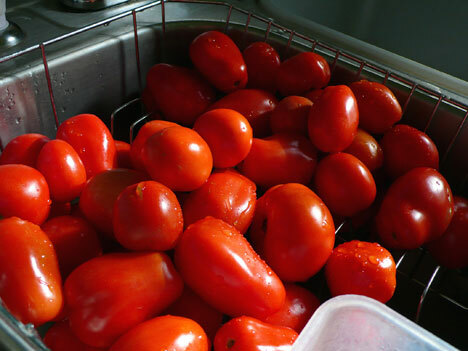 ok, now, i have a sink full of tomatoes (these are just what i picked yesterday) that i have to find space for somewhere; back tomorrow with a photo-post of my fall garden . . .
mmmmm-mmm. i started to say what these chubby hanks of yarn make me want to do and it sounded so off-color that i stopped—let your imagination fly. it arrived today and i just couldn’t resist pushing it at you for a yarn hug. 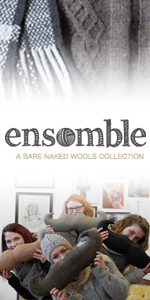 and ever since, tana (the awesome tech editor) has been urging me to write the pattern for it. once i have the two little sweaters i’m currently working on a little further along, i’ll cast on the sleeves for this one (i think sleeves will make excellent car knitting on our upcoming rhinebeck trip). normally, that would be enough time to finish a whole front of a small cardigan like this, but i was talking to my brother and after i hung up the phone, i realized i had done the decreases totally wrong—i doubled up on them by mistake because i wasn’t paying attention. hahaha, the waist looked quite waspish . . . very mad men. so i ripped back to where i started decreasing and redid them. i forget what happened next exactly, but sometime later while we were watching TV, i realized i had another problem and had to rip back almost as far once again (and yes, it was another misinterpretation of the darn decreases). i finally got it right on the third try and by the time i went to bed i was up to the waist. wow, all that way, heh. the really funny thing is that, in the process of decreasing, i didn’t screw up the part i thought i would have trouble with. as you decrease in the middle of the sweater front, it looks better if you keep everything as much in pattern as possible in that spot. 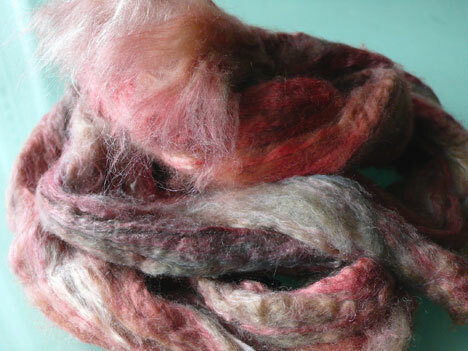 which can be tricky once the yarnovers and decreases start to collide. but that issue worked out well each time i redid it. go figure. things should go more smoothly from here though; i know for sure it was just me having a processing problem between my eyes, my brain, and my hands. it’s one of those situations i don’t even feel bad about—after all, i was knitting and i made a mistake (or two) that resulted in more knitting; how awful could it be? 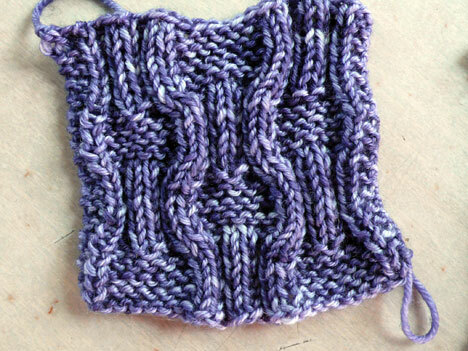 the knitting was serving its purpose—i was completely calmed down and relaxed within an hour of starting. and i got to have a wonderful long talk with my brother, who hasn’t been very available lately (they just finished building a house). tonight i’m working on the little cabled rib v-neck design—almost ready to cast on . 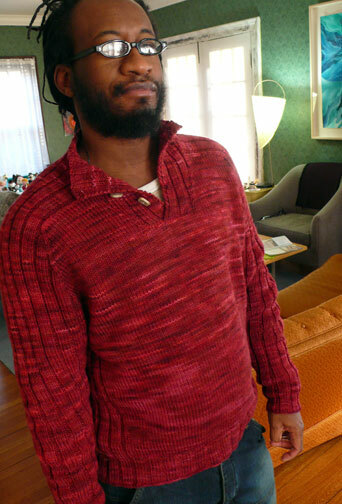 . .
wanna see david’s yarn again before i go knit? so sorry for my absence the last couple of days—i’ve been working on a behind-the-scenes project that required a little more attention over the weekend and ended up not knitting very much. and truthfully, i think it’s going to be like that for a little while. i have some other work that i’ll need to do away from the computer, sort-of on a schedule. some days are going to run away from me, i just know it. plus, i’ll be traveling for a week or so almost every month between now and next summer—which is exciting, but as you know, not always great for blogging, heh. i’ll do my best to make every post count, though, ok? actually, as soon as i have my travel calendar a little more put together, i’m going to make a page of teaching dates so that everyone can see where i’m heading. that way, if you live close to one and you’re interested in attending an event, you’ll be able to get all the info. well, enough of that, let’s talk knitting! as you can see, dovecote came off the needles on friday night and i blocked in on saturday afternoon. 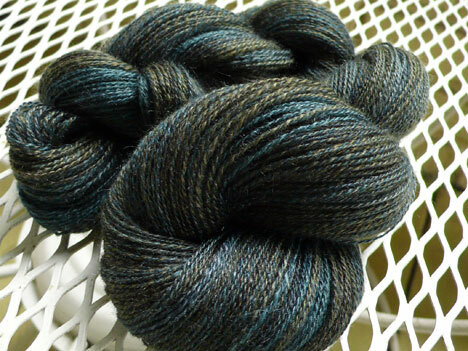 and i gotta tell ya—this canopy yarn?? it blocks out so beautifully. i mean, rarely do i feel i have to make a point about the blocking qualities of a particular fiber, but honestly—it’s the new crack. 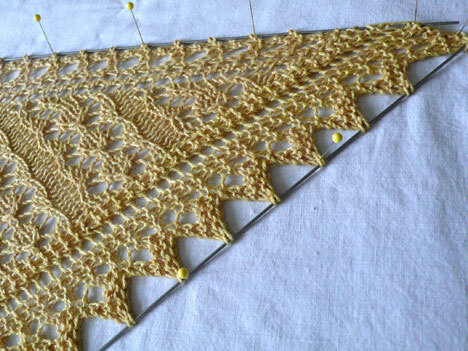 i would knit another one of these just to block it again, it’s that good. so i got that project completely done except for modeling photos and now i’m bereft of a big, focused knitting project (my behind-the-scenes project doesn’t count because it doesn’t involve my knitting). which i’ve come to realize i need as an anchor, even when i revolve other small projects around it. so i think i’m going to cast on for the little green cardi while i work out what to do with the blue pullover; i’m close on that one, but not quite there (i’m going with the cables but i need to figure out the details of the trim). because my streak of knitting with luxury yarns has spoiled me into a helpless heap of submissive addiction for them and because a little crack—is never enough. plus, i have so many conspiring dyer friends who are happy to keep it that way . 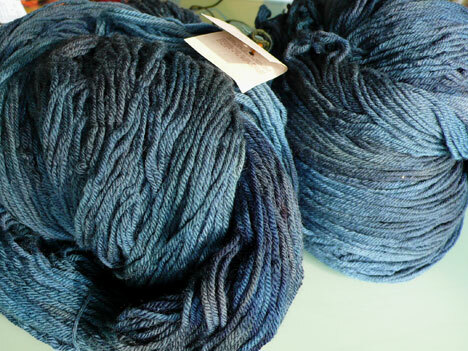 . .
this is fearless fibers cashmere sport in colorway anne; a deep, deliciously-rich blend of grays and blues specifically aimed at my heart (see what i mean about the conspiracy??). 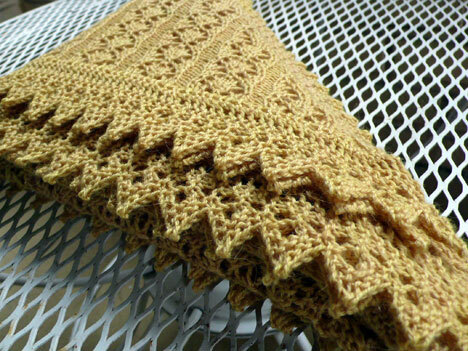 instead of a knit-on edge at the bottom, the piece begins with a horizontal lace leaf pattern that has a gentle scallop and LOTS of spiky openwork. 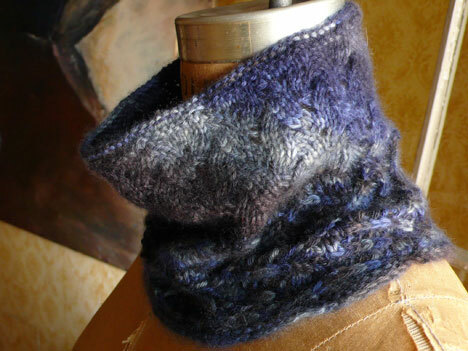 then it segues to a denser, vertical pattern for the neck tube, which you could knit to any length you like. it won’t spread out over the clavicle as much as spiralucious or hoarfrost, but instead, (hopefully) it will pile in delirious drifts of cashmere euphoria up to the chin. at least, that’s how i see it in my head . . . i’ll keep you updated on it’s evolution . 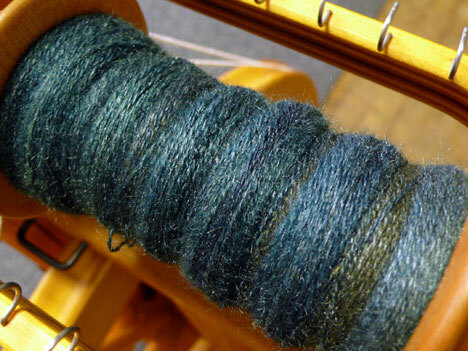 . .
i was really anxious to see how many yards i’d spun—i had a feeling it would be a good number. i skeined it up, then snapped a quick photo and put it in some soap and water to soak. 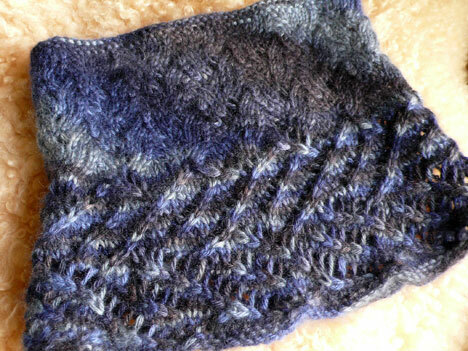 i wanted to document the before-and-after difference washing and blocking makes with handspun (see? blocking ho, through and through). 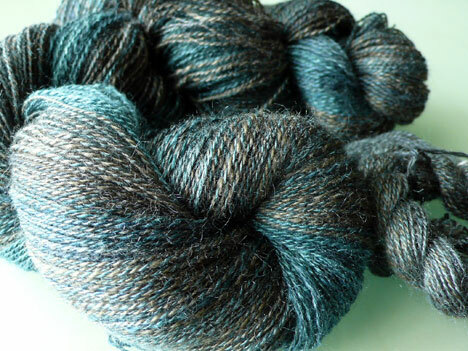 today it was dry enough to take a few pictures (it’s been incredibly humid here all week)—wow, washing really smooths things down and brings out the sparkle in a handspun yarn . . . now it looks truly classy. 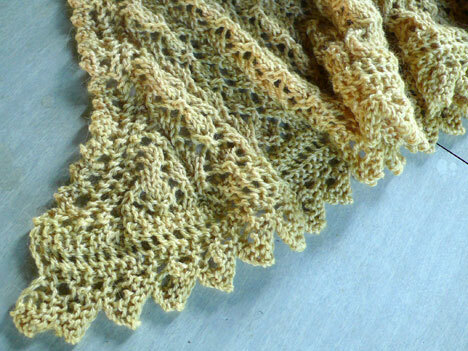 a real laceweight, too—550 yards from 2 ounces of fiber. 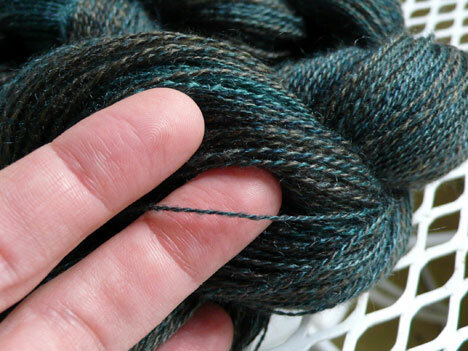 i think this is the most consistently-fine yarn i’ve ever spun. time to start dreaming on what it will be . 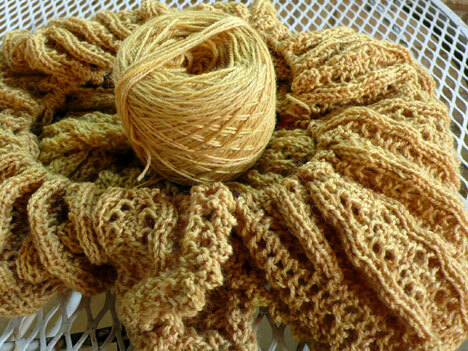 . .
i originally thought i’d knit a butternut scarf from this yarn, but with 550 yards, i could make a beautiful little shoulder shawl or large triangle scarf, so i think that’s what i’m going to do. i can totally see this in some sort of pine cone motif, so the hunt is on to find the right stitch patterns. i think the motif from these socks might work for the body; i just need a fab border with a bigger motif for the hem—maybe something from one of my old german books. we’ll see . 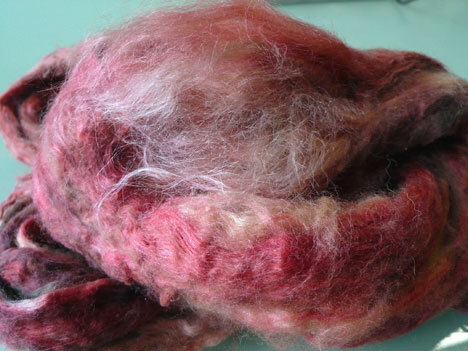 . .
while the yarn was soaking, i got out the fiber i want to spin next—ready for some fiber prøn?? i couldn’t help myself; once i started snapping pictures i couldn’t stop. then when i downloaded them, they were so nice i couldn’t decide which to post, so i’m giving you several different ones. 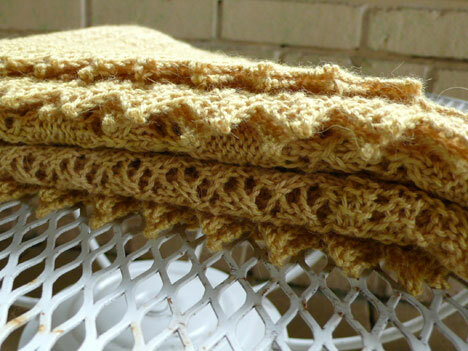 this is another 2-ounce bump of luxurious baby camel and silk from a verb for keeping warm, in colorway taboo. 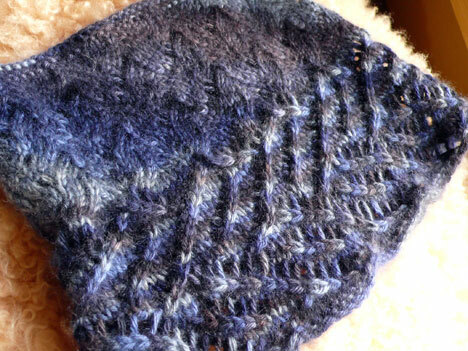 BTW, kristine posted a message on the knitspot ravelry board telling us that if a color isn’t in her online store, she may have in in her brick-and-mortar shop, so please email her with requests if you don’t see what you’re looking for. anyway, while the yarn soaked, i predrafted this little bundle of joy a little bit to prepare for my next spinning session. 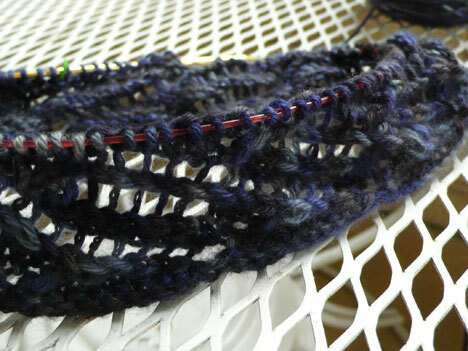 just pulled it lengthwise enough to make the fibers slide nicely; i don’t like ripping the top apart . 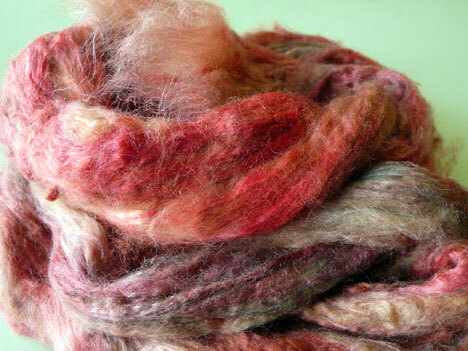 . .
i told my class that next week, i’d be spinning this new fiber on my merlin canadian production wheel. i don’t usually use it in class because it’s so big, but i have a real yen to spin on it now. and spinning laceweight is what it’s for. 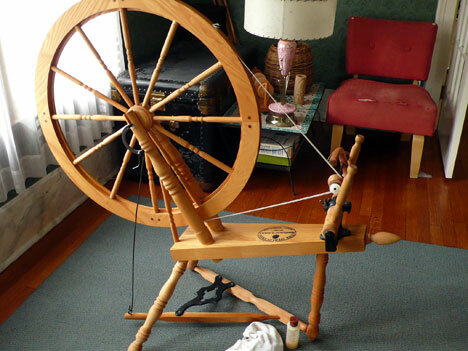 so once i hung the yarn on the porch to dry, i spent the rest of the afternoon cleaning up the wheel and applying a nice emollient oil-and-beeswax rub. just what every wheel needs to ring in the fall. speaking of the knitspot ravelry group—we are growing all the time with wonderfully sweet and funny members—i really enjoy my visits there. 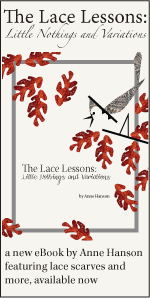 it’s a great place to discuss lace knitting, read about tips and tricks, or ask questions about patterns; someone is always eager to help. i see also, that we’re coming up on a milestone of 2000 members. and you know, we’ve been known to celebrate milestones with giveaways to participants . . . just sayin’. yesterday i had to be on the computer all day (not blogging, obviously . . . blush) but finally, late at night, i was able to sit down with a little sock knitting while we caught up on the last season of “curb your enthusiasm” (we started watching the new season and i was completely confused; turns out, i missed about six episodes of the previous season, so we went back). 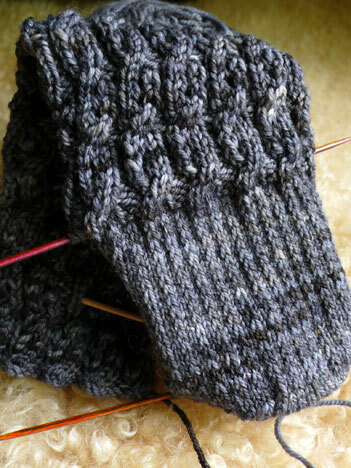 i managed to get the heel done on the gray socks before i conked out. can i just say again how much i love this squooshy sock yarn from zen yarn garden? just what i needed. sigh. i think i’ve got you all caught up now, yay. time to go attend to other matters, but i’ll be knitting . . . later and i hope you will, too. i don’t know about where you live, but here in ohio, the end of summer has been nothing short of glorious—stunning skies, comfortable temperatures, fresh breezes, and a bit of chill at night (but not too much). 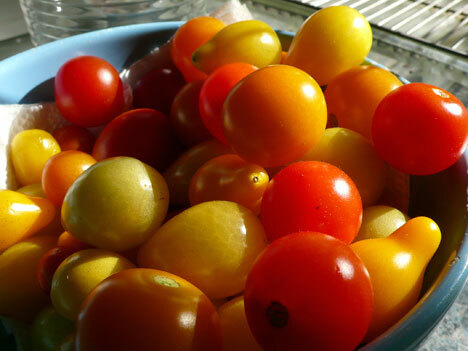 we had a beautiful summer, everyone agrees, but the early fall has been simply stellar. 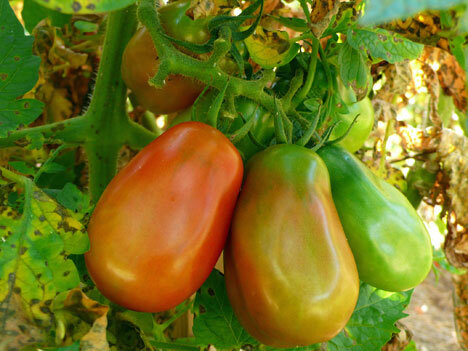 the bushes are once again filled with bunches of plump fruit in every shade of green-to-red and they are beginning to ripen at a rapid pace once again. 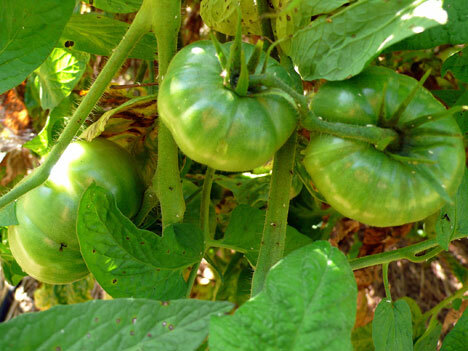 i should be able to dry more before the frost puts an end to them for good. and—can you believe it?? 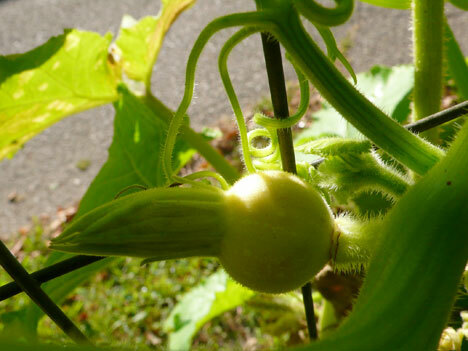 the winter squash, which looked all but decimated a couple of weeks back, are putting our new little squashes again—is this not the cutest thing ever? 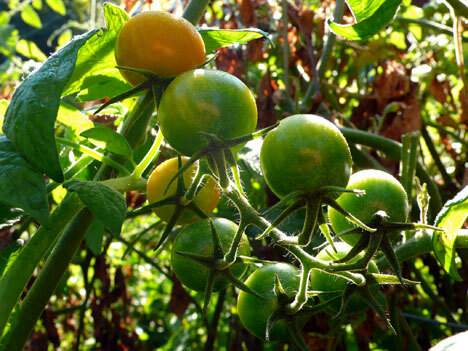 (BTW, i can’t stop drooling over the color scheme in that photo, especially the muddy gray-brown of that shriveled leaf in the background . . .). 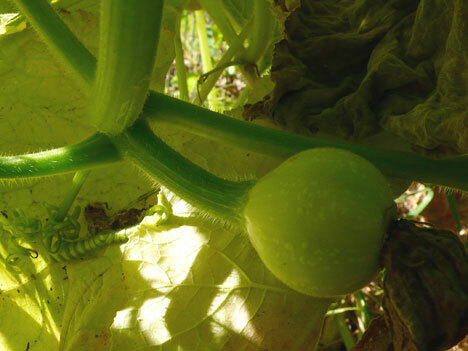 i don’t know if these squashes have a chance of growing to maturity, but you never know . . .
now that the freezer is full to bursting and i don’t have all that excess to deal with, i can spend more of my cooking time putting together great dishes for actual dinners. it’s really nice. 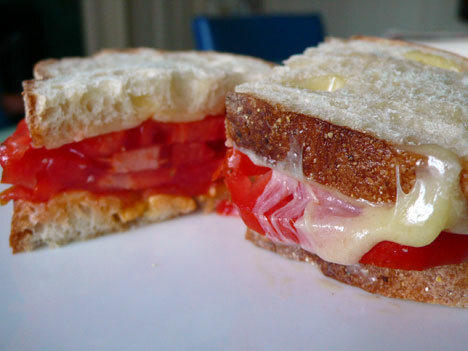 to more complex combinations that leave us with plenty of leftovers. 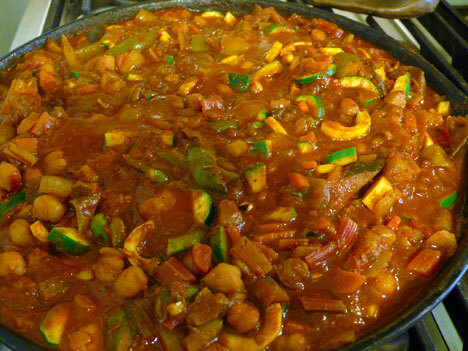 last night we had an absolutely awesome (and fiery) curry of eggplant, hot peppers, sweet peppers, roasted tomatoes, summer squash, swiss chard, with a handful of green beans thrown in (the sum total of the harvest from our few bean plants, hahaha). the only thing in it we didn’t grow were the chick peas and spices. 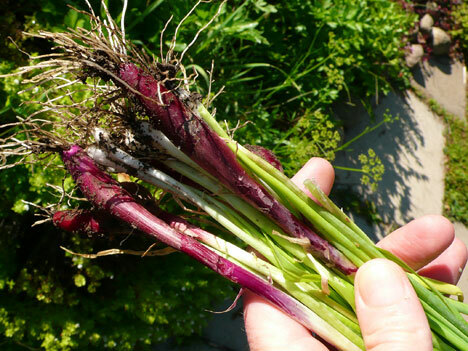 today i finally pulled up some of the scallions i planted back in may—i was just too busy doing heavier garden work all summer to remember to use these (it’s the first year i grew them). 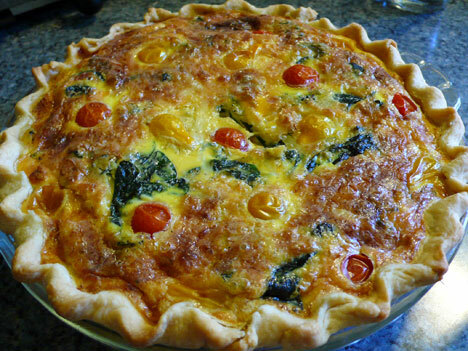 but today i was making quiche to bring to a friend’s house and realized i should add them in. 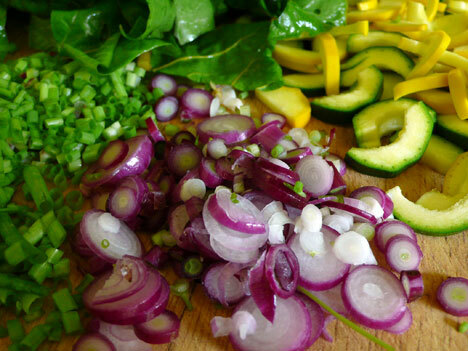 i can never go back now—scallions from the garden?? why isn’t everyone talking about them?? all i can say is—wow. who knew? i know i sound like a crazy woman, but you really had to be here when they were caramelizing this morning—such perfume, really. and the taste . . . well, let’s just say the quiche add-ins almost didn’t make it into the quiche. 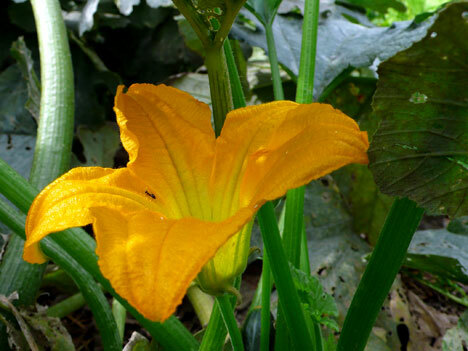 i sauteed them with baby squash slices and the very tops of the swiss chard leaves i used in the curry. i’m going to have to remember that mix for a side dish. 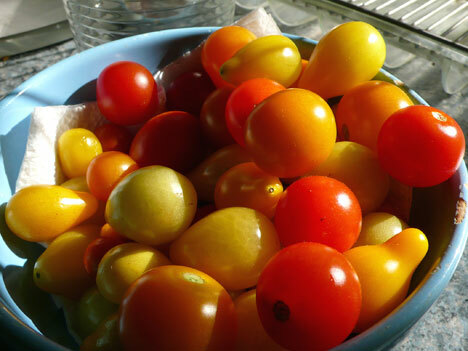 i dotted the top with a few cherry tomatoes—i’m hoping they’ll pop open with a bright burst of flavor in the mouth when we eat it. i’m taking this to knitting night at debby’s house. susie, too bad you’re missing it . . .
speaking of knitting . . . i actually do have some to show you. see how it just reaches out to hold your hand? the vixen . . .
the advantage of this fabric is that it’s a rib—a soft, lacy one. so it keeps its pattern definition when it’s stretched, but the openwork keeps it from being too stiff or rigid (or hot). it will hug the body, but not too tightly. now i remembered another favorite knit/purl pattern that i thought might look nice in this yarn and i think you’ll like it, because i sure do—remember roger? i love it. it’s a little easier to work than the cable fabric (though that’s not a deal-breaker for me) and awfully, awfully appealing. 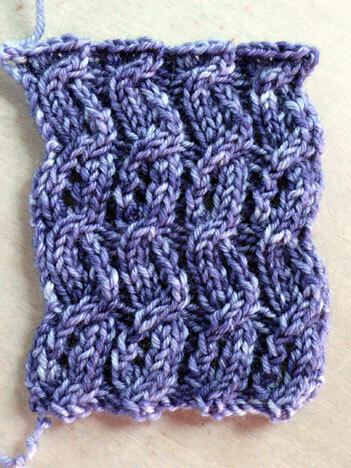 it does not have the same stitch definition when stretched, but it doesn’t completely fall apart in looks either. and it’s really fun to knit. my question would be: is this fabric too busy for a larger garment like a sweater? i’ve used it in a sweater before and liked it, but does it suit all body types? teyani and i had a fascinating email discussion the other night that got me thinking about these kinds of questions . . .
because i like either of these stitch patterns equally well, but if one of them is overwhelmingly objectionable to a large number of people, it would be great to know. ok, you know what? i just realized i gotta run—time to go eat quiche. i don’t think i even have time to proofread this so please forgive me in advance . . .